Samantha does the video games and the movies, but mostly the knitting. 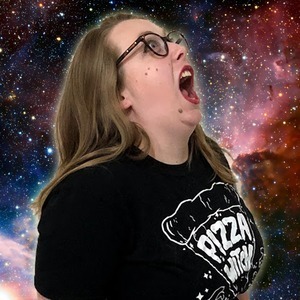 If you hear the clicking of knitting needles in the background of the podcast, that's her. Samantha Cross has hosted 167 Episodes. Hey hey everyone! On this week's episode, we discuss Daredevil Season 2, the new DC Super Heroe Girls line, tons of trailer talk, and the first game for the Apple Watch! CHECK IT OUT! Welcome Back! This week, we talk about Super Smash Bros news, Wonder Woman's new director, the problems with modern trailers and the comic book industry, and oh yeah... DAREDEVIL. 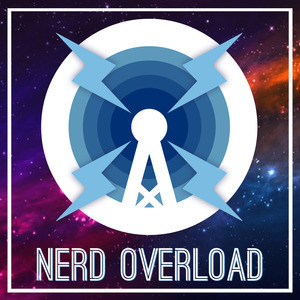 Welcome back to the Nerd Overload Podcast! On this week's show, we discuss the Deadpool film rating, CW superhero show casting news, the imminent release of the full Star Wars trailer, Nintendo Direct, April Fool's gags AND MORE! This week, we discuss Mario party 10, Princess Leia #1 from Marvel Comics, the return of the X-Files, the demise of the rumored Legend of Zelda Netflix series, Jesse Eisenberg as Lex Luthor in Batman v Superman: Dawn of Justice AND MORE! This week, we discuss the game Code Name: S.T.E.A.M., Marvel and DC's line-wide soft reboots, the upcoming Adam Sandler flick Pixels, Nintendo's partnership with DdeNA AND MORE! This week, all four hosts are back as they discuss the possibility of Green Lantern in Batman v Superman: Dawn of Justice, Tim Burton's Dumbo, TV series that were canceled before their time, Dan Aykroyd's opinions on the new Ghostbusters film AND MORE!